Manchester United have been charged by UEFA after a section of their supporters threw objects towards Paris Saint-Germain's Angel Di Maria in Tuesday's Champions League clash at Old Trafford. Former United player Di Maria was jeered by the home supporters right from the start of the match, having endured an underwhelming spell at the club in the 2014-15 season. It was his first return to Old Trafford since leaving for PSG in 2015 and he went on to have a major impact, setting up both PSG goals as they ran out comfortable 2-0 winners. 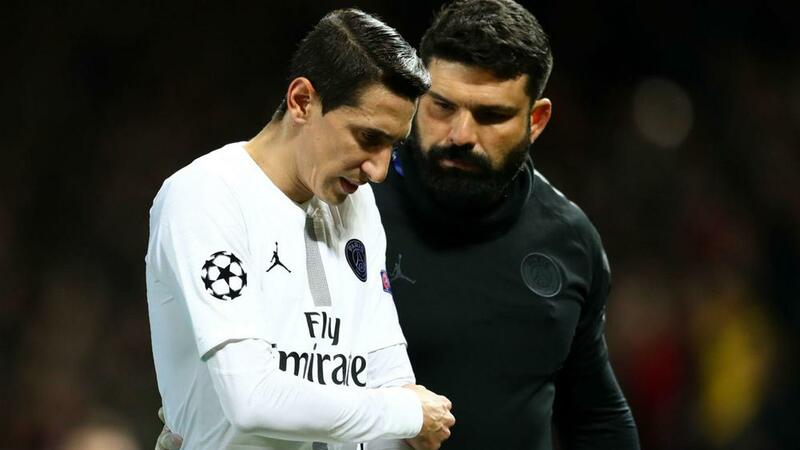 Prior to the goals, Di Maria was waiting to take a corner in the first half and several bottles were thrown in his direction – the Argentine reacting by picking one up and pretending to drink from it. The latter charge is reportedly in reference to damage to seats in the Old Trafford away section, with claims in the Manchester media that 800 chairs were ruined. UEFA's Control, Ethics and Disciplinary Body will deal with the case on February 28. However, Di Maria appears to have escaped disciplinary action for allegedly shouting expletives at United fans during PSG's celebrations for their first goal.